Like most people who lead two lives, Agnes Quinn prefers one over the other. Though teaching English at Brighton Park Community College provides her a reliable income, she longs to remain at the Magnolia Arms and complete her book on the Bridger family history. Only her dream of preparing for her future role as Mrs. Sefton Wilkinshaw compels her to return to work. Before she can board the train, however, her resolve is unsettled by a distressing encounter with a sinister stranger-the first in a long procession of prickly administrators, capricious colleagues, and eccentric friends awaiting her return home. After thirty years of teaching speech, English, and history on the secondary and college levels, Holly Bebernitz retired from classroom teaching to become a full-time grandmother. The change in schedule allowed the time needed to complete the novel she began in 1998. Published in March 2013, Trevorode the Defender has enjoyed a wide and varied audience. 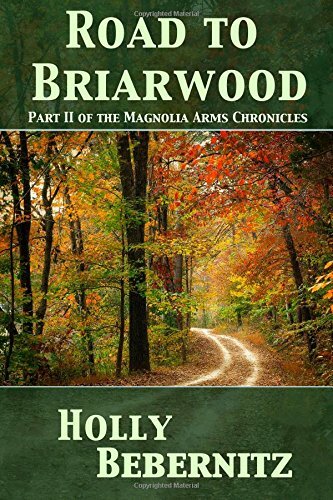 Readers who have found Agnes Quinn to be a kindred spirit and have enjoyed walking the halls of Brighton Park Community College and visiting the Magnolia Arms are invited to continue Agnes&#x2019; journey on the Road to Briarwood.